Pulmonary arterial hypertension can be recognized and treated. But it remains a diagnosis that is often missed, and the delay can lead to a rapidly progressing and fatal outcome. Learn the signs beyond a patient who reports “being out of breath.”. Probiotics are gaining some rationale for use##mdash;not for everything, but for preventing anti-biotic-associated diarrhea and Clostridium difficile infections in hospitals. But many products on the market don't live up to their own hype. Just as diabetes is affecting younger populations, so are its consequences. Childhood obesity can translate into diabetic retinopathy in patients in their 20s, which requires a response from the primary care community. Physicians who wonder why a patient is still taking a discontinued medication might look to their EHRs for the answer. Unlike with new prescriptions, a doctor's orders to stop a drug usually aren't automatically transmitted to pharmacies. This widespread problem requires an old-fashioned solution: talking to patients to ensure they know what medications they are meant to be taking. Sickle cell patients who survive into adulthood are falling into a gap in care as they leave a pediatric practice and don't enter an adult one. A pilot program is offering medical education to patients and to clinicians. ACP's outgoing president reflects on his year serving the College's membership and the joys of rededicating himself full-time to his patients. Readers react to ACP Internist's coverage, offering more resources for alcohol screening and ways to rethink first-line treatment for hypertension. 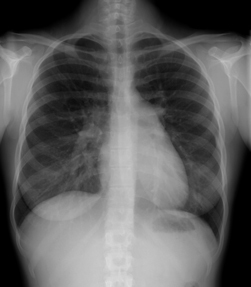 Learn how doctors can best spot pulmonary hypertension, a disease for which treatments have improved dramatically but inclusion in the typical internist's differential hasn't. Learn the most common reasons why Medicare Administrative Contractors reject claims, and how to avoid such pitfalls in the future. Use digital communications' strengths to streamline its glut of information instead of being carried away. Doctors' offices are just as vulnerable as any business after a natural disaster. But patients won't rely on their favorite restaurant as much as they will their regular physicians in the aftermath. Learn ways to keep your doors open even when your building has been closed. All members are encouraged to attend ACP's Annual Business Meeting, to be held during Internal Medicine 2013 in San Francisco. A 35-year-old woman undergoes routine evaluation. She has no current medical problems or history of bleeding symptoms. Her medical history is significant only for iron deficiency 3 years ago that was thought to be diet related. She takes only oral contraceptive pills. A peripheral blood smear is shown. Following a physical exam and lab results, what is the most appropriate management?.